In my previous post, I had explained two advertising execution methods i.e Above the line (ATL) and Below the line (BTL) advertising. This post will be the continuation of the earlier one with the focus on Through the line (TTL) advertising. TTL can be defined as the use of mass advertising forming a prospect or customer database, which can be implemented for direct marketing activities. This kind of advertising is an integrated approach, where a company uses BTL and ATL methods in addition to online advertising to reach their customer base and generate conversions. 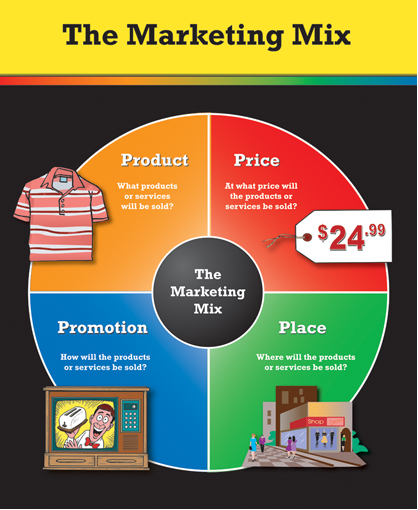 The traditional Marketing Mix i.e 4P’s of Marketing has now changed to 4 E’s of Marketing which is From Product to Experience, From Place to Everywhere, From Price to Exchange and From Promotion to Evangelism. Rarely you will come across a marketing professional who is not aware of the 4P’s of Marketing. These P’s were first coined by Jerome McCarthy in 1960. But this was made famous by an American professor known as Dr. Philip Kotler in his book “Principles of Marketing”. I personally have one copy of 2009 edition and for me, it is one my favorite books in marketing. Product : A product can be either a tangible good or an intangible service that fulfills the need of the customer. Price: The price determination will impact the profit margin, costing, supply and demand. 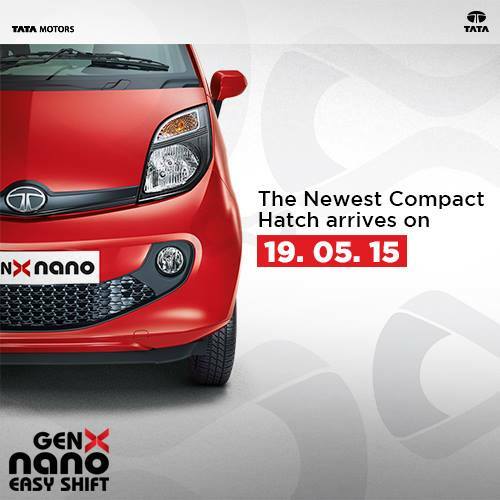 Promotion: Sharing relevant product / service information to consumers. Place: An ideal location to sell the product that will convert potential customers to customers. In 2013 Economic Times reported that Popcorn industry in India has fatter margins than Bollywood movies. Puzzled? Despite a 56% Customs duty on quality imported corn (mostly sourced from the United States of America), the two major popcorn players in India are Agro Tech Food, which has India rights for American company Con Agra’s Act II brand and Banaco Overseas – import around 23,000 tonnes annually. The third player which is not as big as its former counterparts but is in the race, it’s known as WOW Popcorn. WOW Popcorn is a brand of WOW Food Brands Pvt. Ltd which is based in Mumbai. Currently, the company has 5 flagship stores and kiosk in Mumbai. Started in 2014 at a posh locality in south Mumbai known as Napeansea Road, the brand has been making quite some noise in the snack category. At present WOW has 7 flavors and the brand promises to increase more in near future. The brand is selling only in traditional retail format and has not yet made it presence in the online retail marketplace like Grofers , Local Banya and ZopNow. As part of its marketing strategy, the brand is focused on making its mark with digital marketing. As of now, it has around 6,400 fans on Facebook and 750 followers on Twitter @wowpopcorn. The brand actively engages with its followers by way of contest, questions, trivia and more stuff. 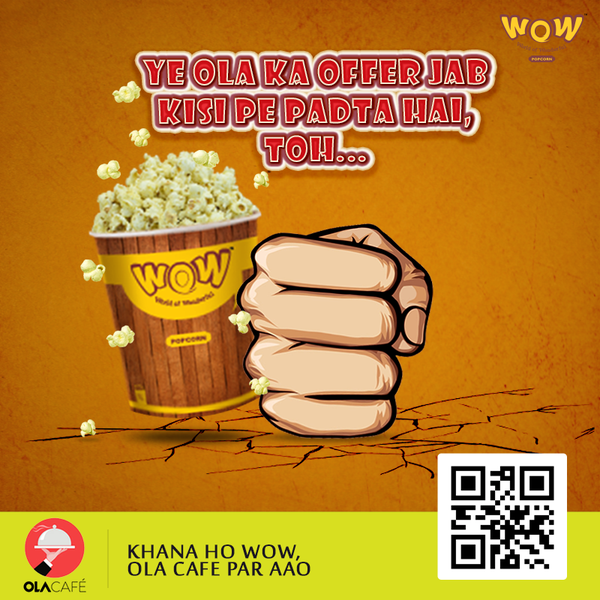 It will be interesting to see whether WOW Popcorn makes it way to multiplexes and eCommerce portals.